BOGOTÁ BOUND BREW BAR BONANZA (& BOOKLET BONUS) - Marco Beverage Systems Ltd. The World Barista Championships in Bogotá are close. Damn close. So close that a lot of people are already arriving in Bogotá. There is a sense of impending reality about the whole event. So with vaccines in my arms, and Brew Bar Menus in my bag I’m almost ready to go. The key objective in Bogotá for Marco is to facilitate great baristas making great coffee. Wow that sounds a bit naff. We make water hot. We will do that. Other people will use said water to make deliciousness. On the ground making sure everything runs like clockwork we have the Handsome Coffee team, Tyler Wells, Mike Phillips and Chris Owens. From Counter Culture Coffee we have Brian Ludviksen and Lem Butler. Supplying the beans (Cup of Excellence beans) we have an amazing selection of roasters from around the World; Square Mile, Terarosa, Bontaine, Elbgold, Solberg & Hansen, Da Matteo, and Seven Seeds. 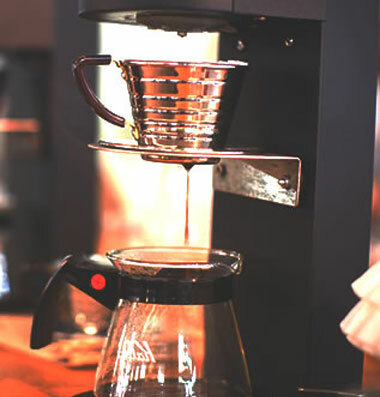 We also have a variety of great brewing devices including Chemex, Hario and Aeropress. On our end, we are bringing lots of toys. Uber boilers, Uber grinders, Slappy Heads err I mean Ecoboiler/Ecosmart Undercounter Units, and more.